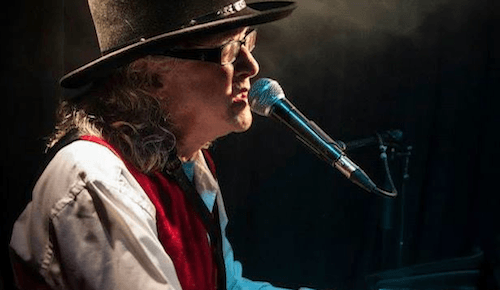 We recently had the opportunity to catch up with multi-instrumentalist, vocalist and Emmy nominated songwriter John Lee Sanders. With a career spanning 5 decades as a solo artist, and working alongside industry icons such as Bonnie Raitt, Freddie King, Stevie Wonder, Randy Newman, Heart and Carly Simon, John Lee is a wealth of talent, knowledge and experience. Stylistically his roots are centered around Blues, Soul, R & B, Gospel and Americana, where he brings a ton of versatility and authenticity to the table. He is also very production savvy, and one of the early pioneers of online session work. For all these reasons and more, we were really excited to have him share some key insights, influences and experiences along his musical journey. Growing up in Birmingham in the 60’s, you were at ground zero during the battle for civil rights. Can you tell us how that shaped you musically and personally? My family moved to the Mississippi Delta (Jackson) in 1953, from Southern Illinois, I was 2 years old. My mother was from Memphis, so my musical roots are a mix of Memphis, Louisiana, Mississippi and Birmingham. My Grandmother in Memphis, taught piano and played piano in the silent movies in Memphis. My mother’s first cousin, a well known Memphis jazz trombone player, singer had worked with WC Handy, and many of the great Memphis session guys. Elvis Presley moved a few doors from my Aunt and Uncle, met him, and was very inspired by him and our common roots of Blues and Gospel. My older brother was a very good rock, soul, boogie pianist in one of the more established R&B Rock bands in Alabama. A DJ friend of our family, Dave Roddy, on the top pop station in Birmingham gave me my start as a performer at aged 13. He promoted shows, and dances in Birmingham, where I was the opening act for many of the headliners. He discovered Otis Redding at a local dance, and hooked him up with Stax in Memphis. Dave began bringing in Black soul acts for his shows, at a Birmingham National Guard Armory. Birmingham had a great black gospel tradition, namely male Gospel quintets, that inspired the Motown sound. In the mid 60s, many of the white high school and college fraternities would book name soul acts, such as Otis Redding, Percy Sledge and others. I met Martin Luther King during this time, a bit of a Forest Gump moment for me. All during the battle for civil rights, with the music being one of the less told stories, with the power of music, to break down segregation. The music, the power of blues, Gospel, the changing times, gave it an electricity that was life changing, musically, spiritually. I think much of that is conveyed in the Muscle Shoals documentary, where a few of my friends became session players. I started classical piano at an early age, which gave me the theory, but the musical environment of the times gave it a different dimension. You were already a working musician at 13. What was it like for you when you were first starting out?I was making about $5.00 a night, singing one set. My voice hadn’t changed, The shows were dances, with my brother Chip’s band, the Ramblers. They had a few 45’s out that made the local charts in Birmingham. I was very shy, but the audience reaction was a great self esteem boost, in a culture that worships football. I began studying voice at the advice of my mother, at the juncture of puberty, where the voice is re-aligning. I had 2 brothers that also sang, so we were able to arrange 3 part harmonies which really gave a great understanding of the whole harmonic structure. My first time in the studio was a game changer, hearing myself back on some decent equipment, everything was live, to 2 track. Recording live in the studio is the ideal situation for me. With a degree is classical and jazz composition you’ve had a lot of formal training. What influence did your education have on your musical trajectory? I started writing horn charts for bands in high school, writing out the parts from Blood Sweat & Tears, and Chicago horn bands. I started playing sax in my last year of high school, in the concert and jazz band. It really helped my reading chops, improvisation. In college, I worked as an arranger for pit orchestras, beauty pageants, etc. My mother took me to many of the traveling broadway musicals. A very close friend was playing Maria, in a local production of West Side Story, and I sat in on all of the orchestra rehearsals of the show. I started studying the scores of Leonard Bernstein, and of course the classics. I transferred to the University of North Texas where I learned much more. I wanted to prepare myself to make a living with enough musical skills, to have an advantage. I’m very fortunate and blessed for the education. I started writing film scores in the 80s, and took a course in Film Scoring from a great Hollywood composer, Dan Wyman. I still work with music supervisors in Television, and received an Emmy nomination in 2007 for a daytime TV show. I studied classical music all of my life, and still love it. In 1999 I released a Mozart CD, using his themes, and re-arranged it in various musical colors of the world, blues, jazz, African, Spanish, Celtic, with great reviews from the critics. Can you tell us about your experience with the popular Bay Area band Uncle Rainbow, and your production deal with the Late Michael Hossack of the Doobie Brothers? I met Uncle Rainbow in the mid 70s, they were the top drawing band in Dallas TX. They were R&B, Funk, Rock, Jazz Fusion. Very Steely Dan, Little Feat, Beatle influenced. All amazing players, 4 part harmonies. Covers and originals, The band would blow people away with a flawless version of Abbey Road, and then some killer funk from Herbie Hancock. Our lead singer’s first cousin was married to Michael Hossack from the Doobie Brothers, who heard us live in Vail Colorado. He had just bought Chateau Recorders in Hollywood, (Now known as “The Hive”) He offered us a production deal, and paid our moving expenses and salary, to relocate in the Bay Area. It was more of a handshake deal. I ended up staying in the Bay area from 1977-2006. Dallas Smith was the staff producer at Chateau, he had produced “The Hour Glass” later known as the Allman Brothers, and other acts on Liberty. He wanted a hit single, and was really pushing a slick pop sound, which was very against the direction we wanted to go, much like the Duane Allman experience with the same producer a few years earlier, but we wanted to get a break in the Biz, but the relationship was short lived. It’s been an inspiration and a thrill to work with some major artists in my life. Some have become fans of my music. Working with Stevie Wonder was a highlight for me. I was billed as “Birmingham’s answer to Little Stevie Wonder” when I was a child. I was part of the backing group on Hal David’s 90th Birthday concert in LA, and Stevie closed the show. Bonnie Raitt became a fan, and good friend, and we discussed me becoming part of her band. I wasn’t able to do her 2012 tour for health reasons, but opened her show a few times on that tour. So many others have influenced my life, there’s too many to list. I began my music career in the juke joints and blues clubs of Texas. Freddie King asked me to tour with him in Japan, 1977, but sadly he passed away in Dec. 1976, I played with him on one of his last concerts. My brother had produced a few local 45s in the 60s, as a bandleader and arranger. He took me in the studio at age 13, on a song he was producing, and I was hooked, on the technology, the gear. In the 80s I worked with Narada Michael Walden, who was producing my band “Uncle Rainbow” a few years before he became producer of the year for the Whitney and Mariah recordings. He was a great inspiration to me during this time. I got to work with the founders of Digidesign during these years, on their prototype for the audiomedia card, which revolutionized the industry. Being in Silicon valley in this time transformed my life and how we all made music. I had a large studio up in British Columbia the last few years. Just relocated to the Alabama Gulf Coast and have downsized. Most of my work is lead & Background Vocals, sax solos and horn sections, demo production and finishing my new solo cd, “Tweakin some Twang”. My main studio mic is a Neumann TLM 127, Universal Audio Pre-amp. A very fast 8 core mac computer, with a huge sample library, the latest sounds in Native instruments Kontakt. I’m best suited for pop, soul, jazz, blues, Gospel, New Age, Classical Crossover. I’ve worked with legendary songwriter, Paul Williams for 25 years, and through this connection, I work on demo production with some of the biggest songwriters in the world. Airgigs has been great for me. I started doing remote recording when broadband internet became fast enough to do file sharing, back around 2001. I have done many projects with my band in Europe, and now have clients worldwide. Living in a market without a big studio scene, it’s much easier for me to connect with great players on some of my personal projects. My wife is Spanish and I spend much time in Europe, so with my mobile recording rig, I’m able to work from our place in Spain. I’ve kept up on the technology through the years so the learning curve has been gradual. I must keep this in mind when working with beginning songwriters/ artists. I’m very adaptive to different styles, so the more information I get from the client the better. Since 2009, I’ve been working with ASCAP and the Library of Congress, lobbying for Songwriters. I’ve worked with some of the greatest composers of the last 60 years, like Alan & Marilyn Bergman, Jimmy Webb, Randy Newman, Heart, Carly Simon, Stephen Swartz, Grammy, Oscar, Tony, Platinum songwriters. What an inspiration hearing their stories, and trying to get some support in Washington for the compensation of our work. In 2014, I did a big band tour of the National Jazz Orchestra of Croatia, fronting the band, and performing my arrangements of originals with one of the top jazz orchestras in Europe. The last 2 years I’ve been doing a solo CD, “Tweakin’ some Twang” Americana blues jazz, Country mix. all original with lyrics from my co-writers Chris Caswell, Michael Decroix, and my 2 brothers who started me in the music biz. I’ve covered most styles of American music, since 95, but have yet to delve into much country music for cultural reasons. Americana is the closest genre of my diverse influence, and as a songwriter, it’s probably the most interesting to me lyrically. I’ve been on the road much of the last 3 years, and it’s taken a bit longer than expected, but hope to have a release by Spring 2016.